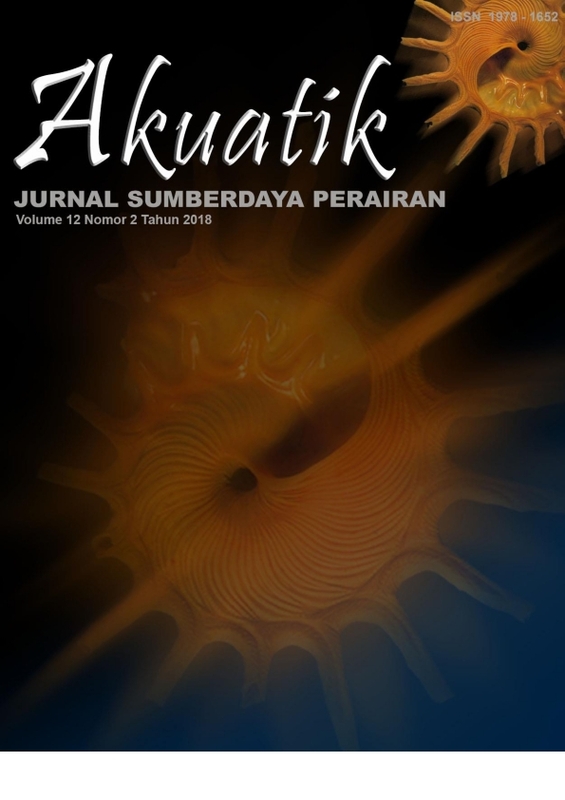 This study aimed to analyze the content of Pb and Cd in sediments in the river Pakil, Bangka, analyze the content of TOC and texture characteristics of sediments and fine sediment menganallisis relationship with heavy metals, as well as analyze the relationship between TOC with heavy metals. The experiment was conducted in April in Pakil River. Sampling in this research field as muchthree stations and three repetitions. Results of measurement of heavy metals in sediment Pb with an average range of 3.96 to 12.26 mg / kg. The measurement results Cd heavy metal content in the sediment with average range <.0004 to 0.53 mg / kg. Pb heavy metal content in the above mentioned stations have not passed the quality standard limits, for heavy metals Cd (Station 1) has passed the quality standard threshold based on the quality standards according to the Swedish Environmental Protection Agency (SEPA, 2000).The results of the correlation between heavy metals Pb with Sediment Texture positive correlation with R ² value of 0.5021, the correlation between the heavy metals Cd in Sediment Texture positive correlation with R² value of 0.7154. Correlation between heavy metals Pb with TOC in sediments positive correlation with R ² value of 0.9764, the correlation between heavy metals Pb with TOC in sediments positive correlation with R² value of 0.9956.